ages. Each museum provides their visitors with a variety of interesting programs such as films, art classes, lectures, and evening dances or concerts. 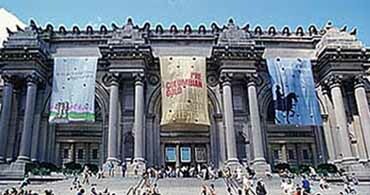 Fortunately, several of the larger museums are located on what has been coined 'the museum mile' along Fifth Avenue, making it easy to make a day of museum hopping. 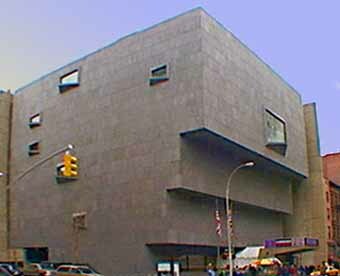 The Whitney Museum, located at 945 Madison Avenue, is known as a historical museum with an expansive collection of American art. Its permanent collection contains what has been described as 'the finest 20th-century American art'. There are approximately 11,000 works of art, representing over 1,700 artists in the permanent collection. The Whitney also recognizes and emphasizes the works of living artists. The Whitney's very own Biennial is the only continuous exhibition regarding the developments in the ever-evolving art world. The library and research facilities are a great strength of The Whitney as they hold more than 30,000 volumes referencing American art. The Film and Video Department of the museum support independent filmmakers and exhibit video art. The Whitney Museum averages fifteen exhibits annually and six film and video programs. renovations. The museum is ideal for families as it offers several programs geared towards children of all ages, family workshops and gallery talks. 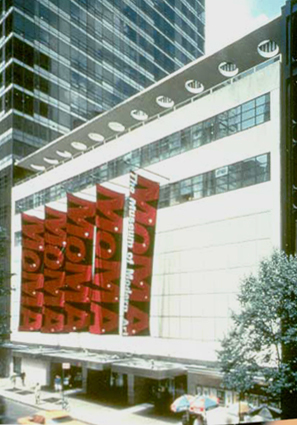 The MOMA's growth started from the small gift of eight prints and one drawing and has blossomed into a collection of more than 100,000 artworks, 14,000 films, four million film stills, and 140,000 books. The exhibitions in the MOMA are plotted out through 2005 and vary in subject matter with everything from Billboards, to Architecture, to Avant-Garde, to Picasso and Matisse. 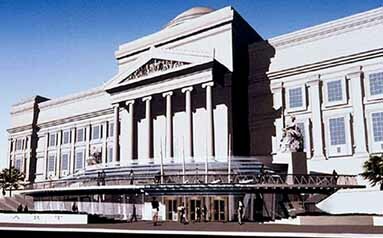 The Brooklyn Museum of Art is easily accessible from Manhattan, located at 200 Eastern Parkway in Brooklyn. The permanent collection at the BMA is made up of The Frick Collection fine art from around the world and is recognized in particular for their Egyptian art. The BMA displays the art of Asia, the Pacific, Africa, the Ancient Middle East, and The Americas. The artworks range from textiles, paintings, sculpture, drawings, decorative art, and costumes. The recent acquisition of Judy Chicago's Dinner Party, a well-known Feminist installation piece, was an enormous stride for the museum. The Brooklyn Museum of Art will be the first permanent home to the artwork, which has been traveling since its creation in the 1970's. The BMA provides public programs including the First Saturday Series, which is an evening of art and entertainment every month. Group tours can be arranged through visitors' services, and children under twelve are welcomed The Guggenheim Museum for free. The Frick Collection is an elegant museum housed in a former mansion at 1 East 70th Street, in New York City. The collection consists of exceptional works from the Renaissance through the late nineteenth century. Included are some of the world's most celebrated Western artists, such as Constable, Goya, Manet, Monet, Rembrant, Renoir, and Whistler. 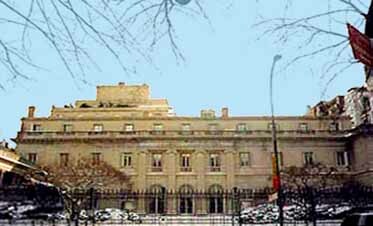 The Frick Collection is also the home to delicate French porcelains, Italian bronzes, sculptures, and period furniture. Tours are enhanced by Acoustiguide, which is available in six languages. Friday evenings the Frick will stay open until 9pm with a cash wine bar in the Garden Court. Children under 10 are not permitted and an adult must accompany children under 16. The Guggenheim Museum is renown for it's diverse collection of art and The Metropolitan Museum of Art the Manhattan location's architecture. Frank Lloyd Wright designed the building at 1071 Fifth Avenue and it 'shattered the existing notions of what a museum could be'. The Rotunda of the Guggenheim stands out against the rectilinear architecture of surrounding buildings. In 1992 extra gallery space was added and restoration was done to Wright's original design. Today, the museums collection has grown and the Guggenheim has extended itself around the world. The art found in all of the Guggenheim establishments focuses on the visual culture of the twentieth-century. 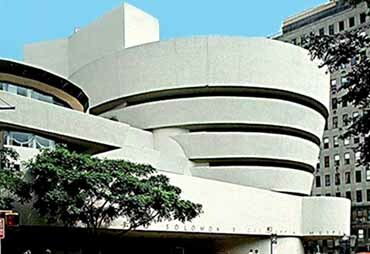 The Guggenheim offers public programs that include family workshops, lectures, and other activities that allow the public to get involved with the museum, art and education. The Metropolitan Museum of Art, better known as the Met, is also located The Museum of Jewish Heritage along the museum mile at 1000 Fifth Avenue. The Met is one of the largest museums in New York City and it is easy and fun to get lost in. The museum's collection contains work from virtually every part of the world, spanning from the Stone Age to the twentieth-century. Their Egyptian collection is enormous and includes an entire temple. The Met offers a vast selection of events and programs, great for families, students, or anyone who's interested. There are group tours, lectures, concerts, films, and much more. Children under 12 are welcomed for free and students and seniors are asked to make a $5 contribution. General admission is a $10 contribution. 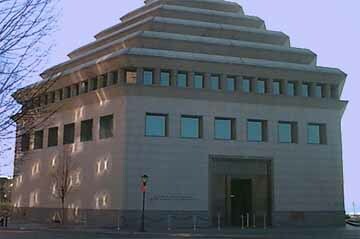 The Museum of Jewish Heritage is a 'Living Memorial to the Holocaust' located at 18 First Place in Battery Park City, Manhattan. 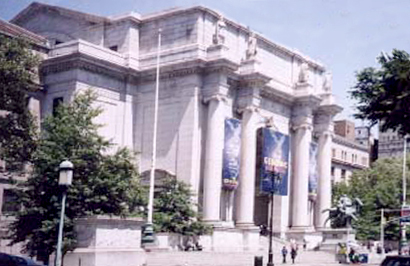 Open to the public since 1997, the The American Museum of Natural History museums mission is to educate people of all ages and all cultures of the Jewish experience before, after, and during the Holocaust. It is conveniently located within walking distance to the National Museum of the American Indian, great for a day of sight seeing in New York City. The top floor of the Jewish Museum is ideal as it provides a view of New York Harbor, Ellis Island and the Statue of Liberty. The museum itself contains artifacts related to every aspect of Jewish culture including books, clothes, artworks, and religious objects. The objects represent Judaism from five thousand years ago to the present. The museum welcomes individuals, youth groups, families, and school groups. Children under the age of 5 are free. For 125 years, the American Museum of Natural History has been one of the world's leading science and research institutions, known for it's exhibits and collection that span the millions of years of Earth's evolution. Located at Central Park West at 79th Street, the museum is a beautiful, sprawling stone building that is architecturally unique. One of New York City's oldest and most famous tourist attractions, The Natural History Museum is a must see. It is especially great for children as it examines subjects that spark curiosity and interest, such as the dinosaurs, zoology, astronomy and more. There is also an IMAX Theater, a Sky Show, and interactive exhibits. There is no set fee for entrance to the museum, however, a donation is recommended. The IMAX and Sky Show are charged separately.